Anja Grebe teaches art history at the University of Erlangen- Nuremberg/Germany. She is taking part in numerous international research projects and exhibitions and has published extensively on medieval and modern art history. Grebe is the author of The Louvre: All the Paintings and The Vatican: All the Paintings. She lives in Erlangen, Germany. Erich Lessing has been documenting the culture and fine arts of Europe and the Near East for more than fifty years. He is arguably today's leading independent photographer of the arts in the Western World. He created the Erich Lessing Culture and Fine Arts Archive which is an extensive image library featuring over 40,000 high resolution images from over 500 museums and private collections throughout the world, including a thorough coverage of such institutions as: The Louvre and the Musée d'Orsay in Paris, the Kunsthistorisches Museum in Vienna, the Uffizi in Florence, the Pinacoteca di Brera in Milan, the Prado in Madrid, and many more. Having worked as a photographer all over the world for more than six decades, he has published more than 40 books with his art photography. He lives in Vienna and travels regularly to Paris and other art capitals of the world. Henri Loyrette has been the President and Director of the Musée du Louvre since April 2001. Prior to his appointment at the Louvre, Loyrette served as Director of the Musée d'Orsay from 1994 to 2001, and Curator at the Musée d'Orsay from 1978 to 1999. With a master's degree in history, Loyrette was a scholar at the French Academy in Rome from 1975 to 1977. A member of the Académie des Beaux-Arts since 1997, Loyrette is also a trustee of the Société de l'Histoire de l'Art Français and Cité de la Musique. Bring the entire museum collection to your bookshelf. 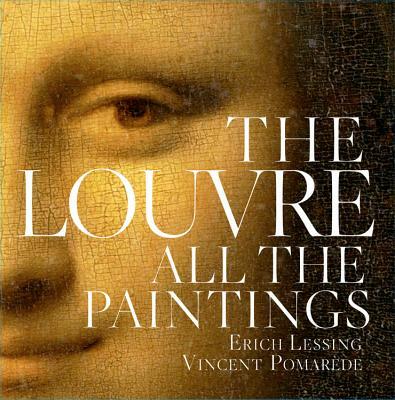 With its stunning content and high-quality reproduction (and its accompanying DVD, providing a virtual tour of the galleries), The Louvre: All the Paintings is a choice gift for art lovers. This volume belongs on bookshelves. A major contribution to the literature of catalogs of great museum collections. The images are rich and sharp, the descriptions thoughtful and clear... Altogether, this is a fascinating overview for anyone looking to learn more about the grand old European masters. Can't get to Paris? Walk through the Louvre's epic collection with your fingertips.